You can choose to be cynical about the state of everything — or you can see that Diplo And Friends allowed Foodman on to play Number Girl among other tracks and feel joy. 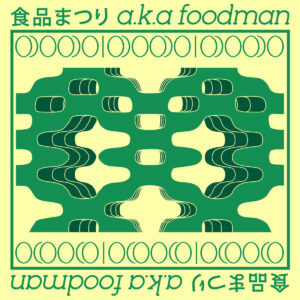 Watching Foodman continue to nab attention with his wonderfully oddball music remains one of the most positive developments in music, and latest offering ODOODO just keeps those good vibes coming. Consider this one Foodman’s club album — like, emphasis on Foodman’s club, which would be really fun and really disorienting and definitely have a sick lighting system. The producer’s music has always had a danceable side, but often the grooves were constructed out of a wild assortment of sounds (at Foodman’s club, you will enjoy all those disembodied yelps at crystalline synths wrapping around one another). Possibly owing to its release via Mad Decent, most of ODOODO moves at a faster tempo and features rhythms not far removed from your usual big-field festival. Just listen to those big bass blurts and skittering drum pattern on “Dege” or the rumbling beat guiding “Funiki” forward. Of course, those are surrounded by warped vocal shuffles and really squishy sounding notes bordering on like…someone gagging?…respectively. This is floor-filling stuff filtered through Foodman’s mind, the energetic cousin to Aru Otoko No Densetsu more spacious offerings (down to a song called “Fue,” a title also used on that 2018 collection). It slows down a bit near the end — and veers off into pure cartoon oddballery with “Colosseum,” wherein synthesized strings collide with Superballs — but in general this is Foodman loosening up and cutting loose — with plenty of sampled screams to go around. Get it here, or listen below.